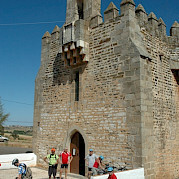 Our bike tours in Portugal get rave reviews. 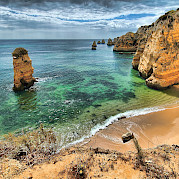 Algarve, in southern Portugal, alone attracts so many people it contains some 20% of all the country's hotels and restaurants. Part of the Iberian Peninsula with Spain, Portugal makes up most of Spain's west side. Its capital is Lisbon, made up of 7 hills and famous for its mosaic sidewalks. Portugal loves its sport and food. 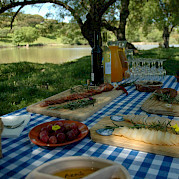 Cycle Portugal during the day and try the bifanas (grilled pork) or prego (grilled beef) sandwiches after a day's ride. 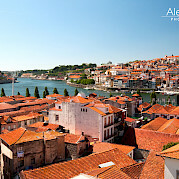 Portugal is renowned for its different wine regions. 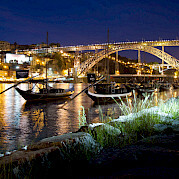 The Port Wine is the most widely known wine type in the world! And the climate as you bike will likely not disappoint. Be sure to check out all of our bicycle tours in Europe or look at our featured bike trips, specials, and news.